Sexual harassment is about subjugation. 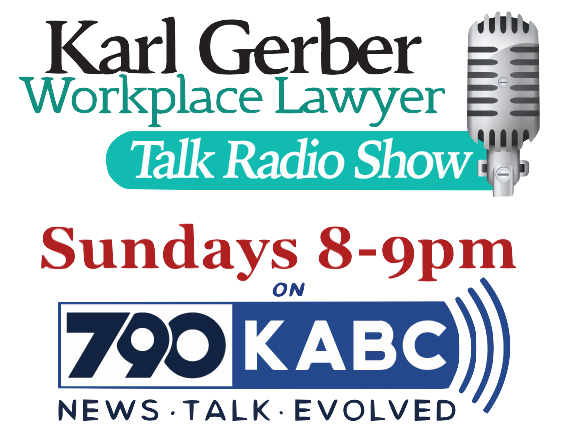 In Karl Gerber’s experience, many of the sexual harassers he has sued do not expect to obtain sexual gratification when they engage in sexual harassment. Sexual harassment is often about control, mental abuse, and abuse of power. Being a supervisor or manager empowers some individuals to take advantage of a subordinate employee. Many sexual harassment cases involve lower level supervisor and managers, or new supervisors or managers who are suddenly in control of people, on a subordinate level. We believe that some supervisors are empowered to say whatever they want because they are in control. The running off of the mouth about the way women’s body parts look is sexual harassment. Freedom of speech does not allow supervisors to runoff at the mouth over sexual details about an employee, or anybody else. The ultimate way a supervisor or manager may feel they can take advantage is sometimes sexual harassment. The supervisor or manager may feel empowered by sexually harassing a subordinate because sexual harassment is very demeaning. California law makes employers strictly liable for the sexual harassment of a subordinate. Strict liability means the employer is responsible for the sexual harassment regardless of whether other management has been advised of the sexual harassment. Who qualifies as a supervisor in order to make a company responsible for sexual harassment is a much lower standard in California than in federal law. In California, employees are strictly liable for sexual harassment if they direct the flow of the operations. Employees qualify as supervisors for the purpose of strict liability for harassment, in California, even if they do not have the ability to hire and fire subordinates. California Government Code Section 12926(s) defines what a supervisor is for the purpose of any form of harassment prohibited by the Fair Employment and Housing Act including, but not limited to, sexual harassment, race harassment, and pregnancy harassment. In California, supervisors for these purposes are defined as any individual having the authority in the interest of the employer to hire, transfer, suspend layoff, recall, promote, discharge, assign, reward, or discipline other employees. This California statute goes on further to say supervisors include persons who can direct employees and recommend action. Directing employees and recommending actions make many employees referred to as, “Leads” supervisors for the purposes of strict liability for sexual harassment. Directing employees is what a line supervisor does in a restaurant, warehouse, or construction site even though that type of a supervisor is not able to hire, fire, discipline, or adjust pay. Although, employers are strictly liable for sexual harassment because of California’s definition of a supervisor for the purposes of the Fair Employment and Housing Act, employers raise defenses if the sexual harassment is not reported. One defense is the sexual harassment would have stopped had the employee properly complained about the workplace harassment so the employer is not responsible for the employee’s damages after the point that they should have complained about the sexual harassment. Another defense is the employer is not liable for punitive damages, damages designed to punish the employer, because persons not high up enough in the company were informed of the sexual harassment and given a chance to stop the sexual harassment. For more details about defenses in sexual harassment cases and how to avoid defenses in sexual harassment, see our articles on DOCUMENTING YOUR SEXUAL HARASSMENT COMPLAINT or What to do if sexually harassed at work?